Picking up customers is something that William M. does exceptionally well both literally and figuratively. 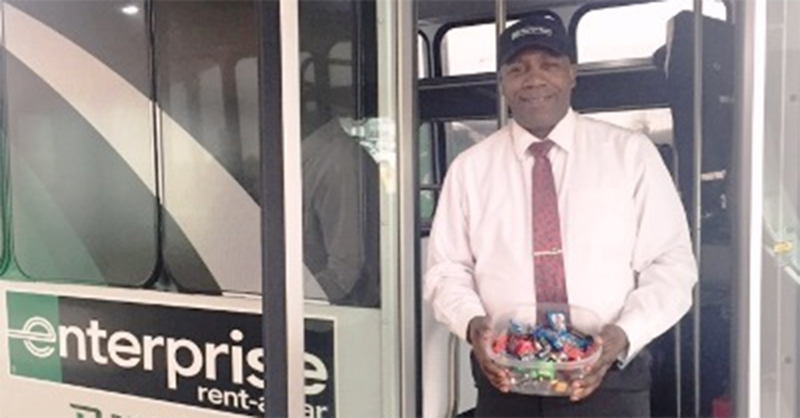 The Detroit airport shuttle bus driver is affectionately known as “Candyman,” not only because of his sweet charm but also because he generously hands out candy to all of his passengers – surprising them with a boost of “fun” at every interaction. Candyman’s unique approach to customer service was recently featured in a short video.